Watch out who knocks on your doors. A post is circulating online wherein a BF Homes Paranaque homeowner recounted how they were almost victimized by a “Clean Your Aircon Gang”. In the post, the BF resident said that a parked red Toyota Innova seemed to be waiting and watching their house. “When they saw the household members leave in the car, they approached the house and tried all ways and arguments to persuade our kasambahay to let them in, saying they were called to service our aircon,” recounted the resident. After being told by the household helpers that nobody called to fix their air-conditioning units, they pretended to call the number who supposedly contacted them but again pretended that they could not contact the person who allegedly called. After not being able to persuade the household helpers to let them inside the house, the men left. When she reported it to their enclave security officer, she was told that there was a similar attempt in a nearby house wherein the men said they were from Meralco. These men left as well “nung sinita sila”. “Please warn your household members about these people who obviously have criminal intent. They use different arguments to persuade people especially kasambahays to let them in,” warned the BF homeowner. 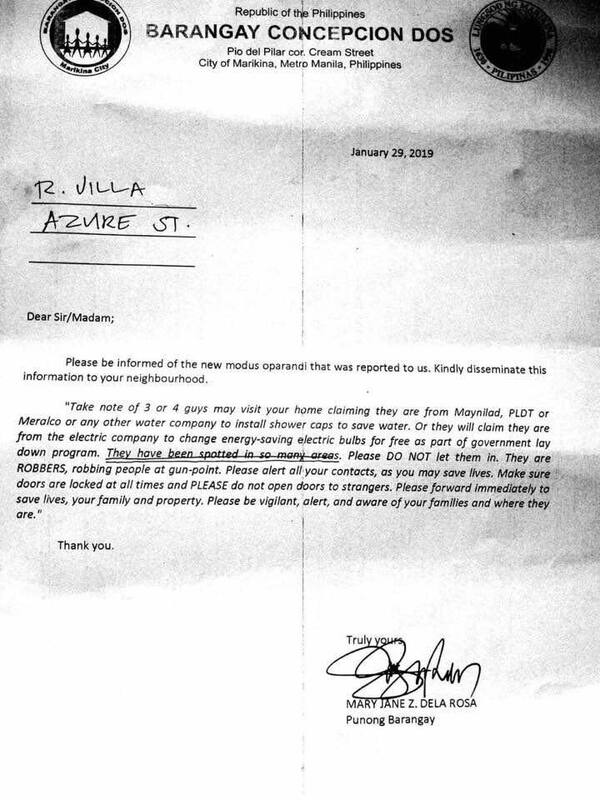 We also obtained a copy of a note from a barangay in Marikina warning its constituents about a similar incident. Photo from Facebook. Credits to the owner. 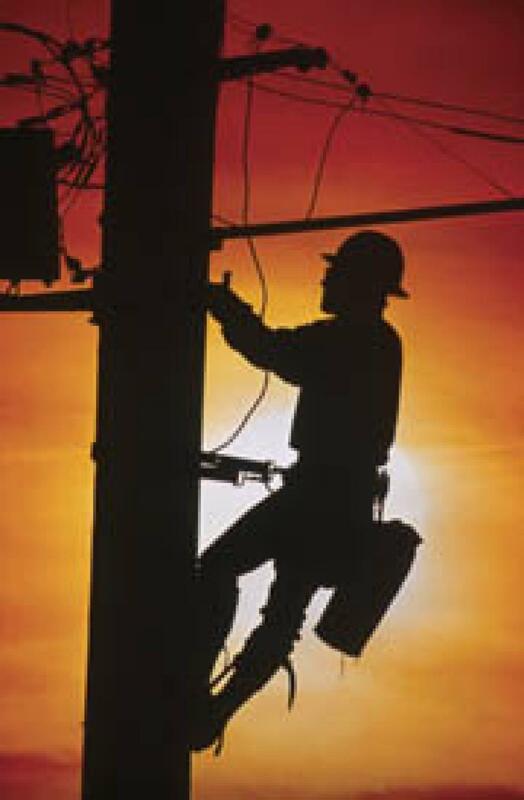 Barangay Concepcion Dos personnel said three to four men are currently visiting houses claiming to be from Maynilad, PLDT or Meralco. “Please do not let them in. They are robbers, robbing people at gun-point,” warned the barangay. So given this, please be careful and do not let unknown people from entering your homes especially if they are not in uniform or do not have IDs. Please instruct your household helpers as well to not let strangers enter your houses.